After 60 the structure of the skin undergoes significant change. It displays dryness, decreased flexibility, reduced thickness of the epidermis, intensive deepening of wrinkles (visible mimic wrinkles) and pigmentation disorders. The destructive effect on the skin after 60+ is caused by estrogen deficiency, escalating during menopause, which at younger age efficiently regulated cellular metabolism and provided proper moisture level of tissues. 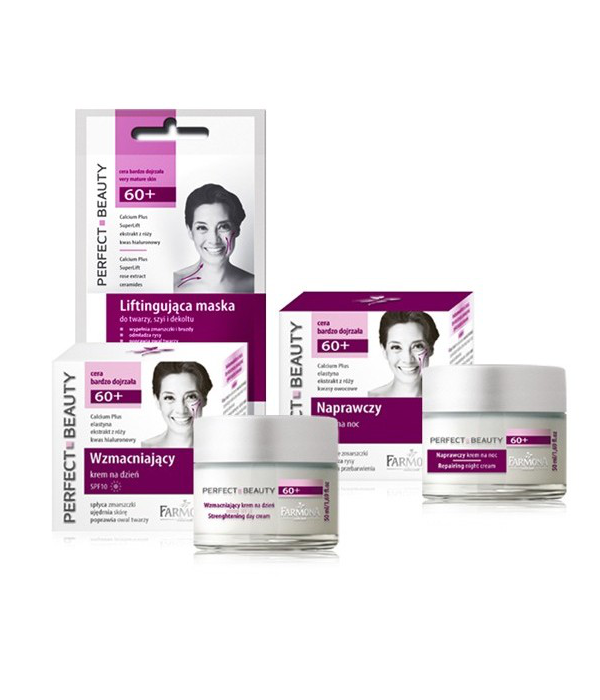 Perfect Beauty very mature skin 60+ series, developed by FARMONA Natural Cosmetics Laboratory, is a line created for everyday skin care after the age of 60. With optimally balanced active raw materials Perfect Beauty very mature skin 60+ products effectively fight the aging process, stimulate epidermis regeneration, providing the skin youthful appearance. Unique active materials such as Calcium Plus, Super Lift, elastin, wild rose extract, hyaluronic acid, ceramides perfectly treat very mature skin, lightening pigmentation and reducing wrinkles. Daily use of products ensures a constant level of hydration and visibly improves skin firmness. 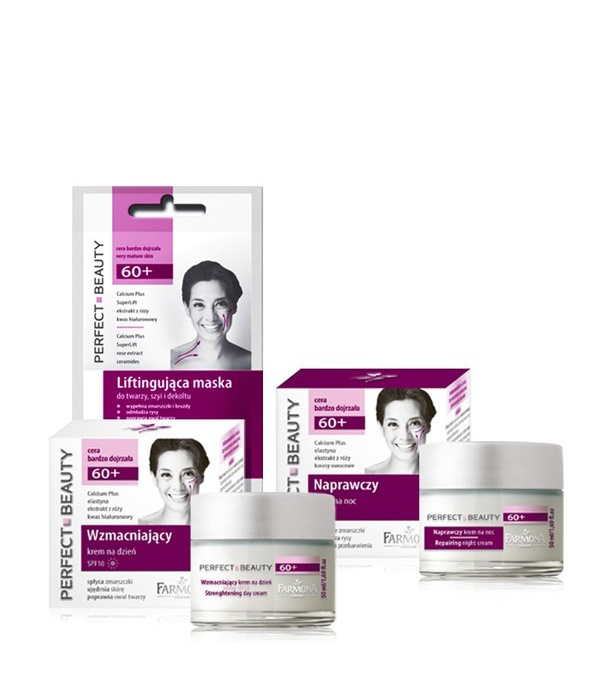 A suitable manufacturing process and accompanying technology further enhances the effectiveness of the products in Perfect Beauty very mature skin 60+ line.